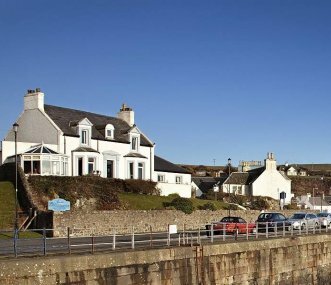 Large Victorian seaside property overlooking stunning beaches at Sandyhills Bay in Dumfries and Galloway. Games room and lots of space. 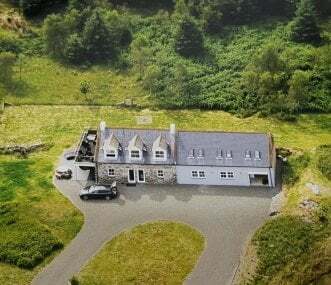 Main house with separate cottage, together sleeping 13. 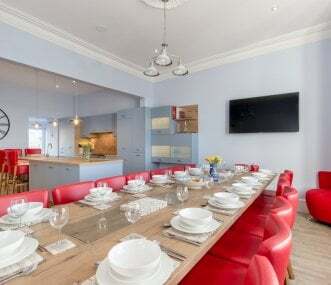 Graced with magnificent sea views, large social rooms and lots of outdoor space this comfortable, practical house for 14 is popular for celebrations. Seashore summerhouse. Cottages sleep a further 13. Coastal cottages at Rigg Bay, Garlieston on Galloway House Estate. Walk to beaches. Perfect for a family get together or friends celebration. Heated outdoor pool. Dogs and children welcome. Sleeps 14. 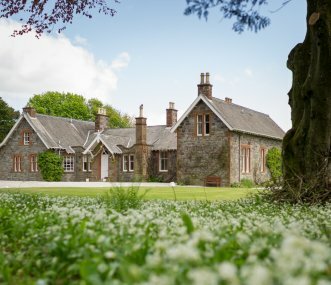 Fantastic group of traditional but well modernised cottages ideal for extended families and groups of friends. Lots to do in the area - cycling, star gazing, adventure activities. Sleeps 17. 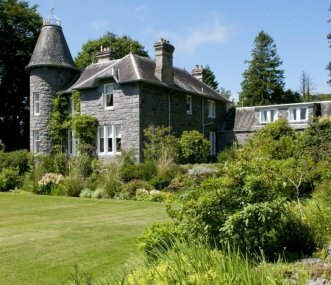 Georgian Mansion nr Moffat in southern Scotland. 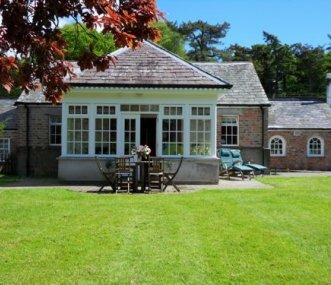 Ideal for special celebrations, family reunions, long & short breaks, sophisticated Hen & Stag parties. Activities arranged. House Staff available. 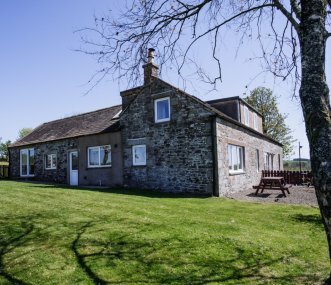 Comfortable and stylish house nestled within the stunning scenery of the Lowther Hills in the highest village in Scotland. Only 1hr from Glasgow, Edinburgh and Carlisle. All groups welcome.